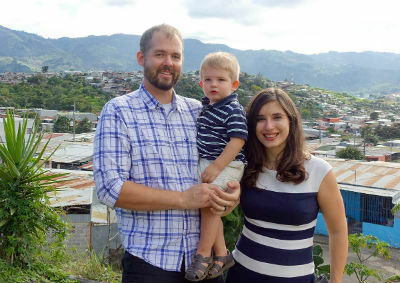 Global Strategy is excited to announce the appointment of missionaries Jason and Abby Torgeson to the position of regional consultants to Latin America, based in Costa Rica. Global Strategy has worked for two-years to identify a missionary to join the regional coordinator team for Latin America. During this time, we sought the council of Latin American missionaries and Latin American regional leaders, including multiple conversations and face-to-face meetings with CIID leaders (the body of Latin American leaders from across the Church of God in Latin America). We determined, in concert with CIID, that the role of RC in the region would include directing the work of Global Strategy missionaries and projects and to work in partnership with the leadership of CIID. Abby was raised as a Church of God pastor’s kid and attended several churches across the country during her formative years. She earned a degree in psychology and Spanish from the University of Alabama and a master’s in intercultural services from Anderson University School of Theology before serving as a missionary for three years in Bogotá, Colombia. Abby was ordained in 2013, the year she returned from Colombia and married Jason. Please be in prayer for Jason and Abby as they assume this role and continue to develop relationships with Church of God missionaries and leaders across Latin America. To learn more about the Torgesons or to support their ministry, visit their profile. This entry was posted in All Church of God, Global Strategy and tagged Abby Torgeson, Costa Rica, Global Strategy, Jason Torgeson, Latin America, missions, RC, regional consultants, Torgesons. Bookmark the permalink.